When Mary Schweitzer first discovered soft tissue in a T-Rex back in 2005, she encountered much criticism but later on her discovery was vindicated. Unlike Mark Armitage who got fired in 2014 from the University for his research which was published in a peer-preview paper which went international. How many creationists discover soft tissues in fossils and publish their findings in secular peer-review papers? The firing of Mark Armitage was on the basis of religious discrimination which was groundbreaking without a doubt in order to set an example for future creation scientists who are thinking of publishing their findings while working for a University as a creationist. I will get more into his case in a moment. I would like to introduce Mark to those who are unaware of him as well as reminding those on who he is. On to Mark Armitage’s case, the paper in question which leads to his firing at the University was first published in American Laboratory magazine in that same year when he made the discovery then in 2013, the discovery was published in a peer-reviewed journal called, Acta Histochemica where he made no mention of creationism nor a young earth in his conclusions. It was all about what he had found in the fossil! Yet, not long after that he was fired with some lame excuse that there was a lack of funding to pay for his salary and a need for his services (teaching students on how to use very complex equipment). Superior Court Judge Dalila Lyons issued in July a tentative ruling against the university’s request for summary judgment. And in October 2016 it was announced that the university settled out of court paying Mark Armitage 15 times more than his annual salary. Apparently, the university had plenty of funds for a huge cash settlement which could have been used for his salary. It was a clear win for Armitage and creationists who pursue jobs in the field of science at universities! Cosmologist Stephen Hawking who is considered one of the smartest men in the world, who has attempted to disprove the existence of God by using various branches of evolution but failed, he is now claiming mankind will doom the vast majority of his or her existence because we are in a rush to develop new technologies to improve our lives. The wording in which he puts it sounds very similar to what environmental groups have been advocating for years and apparently Stephen Hawking believes in these groups. However, his solution to the manufactured problems is living in outer space. And since he predicts this won’t be possible for the next 100 years, something bad is going to happen because of mankind’s behavior. Hawking has a fear that mankind is going to invent genetically engineered viruses which will get loose among the population that it will eventually wipe out many people lives. Second thing, Hawking suggests global warming due to mankind as the root cause will also play a part in man’s doom. His understanding on this issue is bias, the science doesn’t suggest it. Last December was the warmest on record in my locality, the record in which was broken happened in 1877, since then…emissions have increased but yet in 1877, emissions were a lot less and it still broke a record. And that record stood for a long time even with the environmental changes. You can discover this pattern of increased or decreased in emissions vs warming and cooling throughout history. Third thing, Hawking mentions nuclear war, the last time mankind was on a possible brink of a nuclear war was the Cuban missile crisis back in the early 1960’s. Fear of nuclear war increased in the 80’s but has lost its luster after that. Dirty nukes are considered more of a threat than traditional ones. No country in the world is going to start a nuclear war with traditional weapons because you can destroy the earth many times over, there is no winner. However, having nuclear weapons means power. This is not the first time Hawking has declared doom for mankind, he has warned the world about Al Robots massively killing humans (sounds like a Hollywood movie called, The Terminator) and aliens coming to earth in order to destroy us (sounds like a science fiction movie: War of the Worlds). While Hawking is very smart at math, he is not that smart with evolution nor with his absurd predictions for mankind. 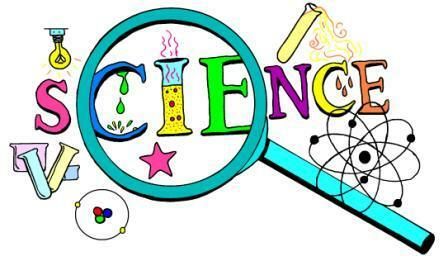 While mankind faces major challenges; science, robots, historical warming and cooling of the earth is not one of them! Welcome 2016, which there is great hope that it will bring forth even greater science discoveries than in 2015. However, storytelling will be on the increase this year as well. This blog has been a critic of telling a story then passing on as though it was a discovery in science which in fact it was not! Take volcanoes for example. Volcanoes are amazing, huge gasses build up over time underground along with magma, eventually causes an explosion that spews rock and gas to the surface. Often times these events are dangerous to man but amazing to observe from a safe distance. “Vast lava flows may have provided humans with access to heat and fire for cooking their food millions of years ago, one researcher has proposed. Keep in mind, living by a volcano is very dangerous. Lava is very hot and can reach up to 2,000 degrees Fahrenheit. This is not something you want to be around because 150 degrees Fahrenheit can cause your lungs to stop functioning and as a result, you would be dead. 2,000 degrees would turn a human body into ash in no time. Michael Medler is suggesting in his story using circular reasoning which he admits would be difficult to test, that because lava created fires and heat, this caused evolution in man’s intelligence. You can say this for a book, because humans have access to books caused supposed evolution in man’s intelligence. We know that books are designed by intelligence and depending upon content in the book, and the person, it does make them smarter. But is that evidence for intelligent design because one can learn from a book? Even if man learned how to cook from observing lava (which is not the case), it certainly would not be evidence that it’s evolution at work neither should this be called, “science”. Many stories comes from bones, and often times are not testable to verify one’s theory in evolution. Michael Shermer whose book, “The Moral Arc” claims that evolution, along with reason will lead humanity toward truth, justice and freedom. His piece which was published in Scientific American on Jan 1, 2016, was far from leading humanity toward truth. In fact, his article on the conduct of the Homo naledi bones were found in a South African cave was a mythical story that he himself had invented and was trying to pass it on to Scientific American readers as science, but it wasn’t based on any factual evidence. The last paragraph sums up in a way, scientists who believe in evolution. The evidence says one thing, but become oblivious to it because it doesn’t agree with evolution. Such as fruit flies being mutated over 600 generations in the best environment possible and instead of becoming more open to evolutionary change, the fruit flies became more resistant and started going backwards which surprised many evolutionists. The evidence suggests that fruit flies cannot evolve into another species. Here there was no violent markings on the bones and Shermer did what evolutionists normally do in a situation where reality doesn’t agree with them, they continue with their narrative as though it were fact, this is known in card playing as bluffing. This is why evolution is bad for science. This is why there was also a climategate, where leading advocates of scientists who believe that humans are responsible for global warming tried screwing a decline in temps to make it invisible to the public over a period of ten years because they want the public to think a certain way. So one has to be careful when reading articles which are stories that are trying to be passed off as science. Did you know, science is not based on consensus, rather it is always in a state of flux due to the fact that man’s knowledge is limited. We are students for life, we never come to the point where we can say, “we know it all…” We are not God. Climate Change and Evolution are based on research that has a pre-ordained conclusion, and has procedures that are considered as hard evidence. Furthermore, both Climate Change and Evolution are funded by various governments around the world while any research outside of those two are not funded, thus artificially building a consensus in order to try to sway public opinion. They do this for various reasons one being that is where the money comes from. So what happened? During the 70’s and early 80’s, consensus was telling the public that another ice age was coming. In the mid-80’s consensus switched to “global warming then it became known as “climate change” later on. Extreme environmentalism which has a main goal of restoring most of the earth back to the animals, and as a result has become anti-science. There is no environmental group that supports any oil drilling, or mining or anything industrial even though they have benefited from these things. In California, there is a major water shortage, this is not uncommon but this year it has been worse than normal. California does have a water source that would meet their needs but have embraced special interests who advocate extreme environmentalism. California has the nation’s strictest environmental policies. This includes their water. Last summer it was proposed that California build dams to harvest the water from the melting snow in the mountains. The proposal to build more dams last summer was interesting because prior to that time, California hasn’t built a new dam in 35 years! 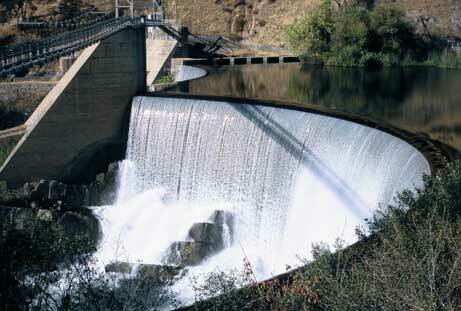 The ten biggest water reservoirs in California were built between 1927 and 1979. One of the reasons the state hasn’t built any new dams is because of its strict environmental laws. But the voters made their voices known in November of 2014, when the majority voted in favor of the proposal to increase water storage. This was followed up in 1998, when National Academy of Sciences stated that evolution is a fact without controversy. They narrowed it down to one particular brand of evolution, which is…random mutation and natural selection to account for the complexity of life. Even though scientists for over 60 years have never produce life in a lab from dead chemicals, but have invented hypotheses of how self-replicating organisms could form and begin to evolve and normally vote one to be the most popular thus become the most accepted among evolutionary scientists. In 2007, science reporter Gregg Easterbrook stated this…“What creates life out of the inanimate compounds that make up living things? No one knows. How were the first organisms assembled? Nature hasn’t given us the slightest hint. If anything, the mystery has deepened over time.” One of the signs that a theory isn’t valid is when it gets more mysterious as time goes on. Has the controversy ended with evolution? This is not referring to creation vs evolution nor intelligent design vs evolution debates, this refers to something else. Answering that question is very simple and the answer is…No! They just said that because they don’t want students to learn every aspect about evolution like cutting edge research because it shows many weaknesses in evolution. They want students to be indoctrinated first so their beliefs are firmly entrenched in evolution before they learn those things. What they fear the most are students getting skeptical of evolution when learning the truth about its weakness. Opponents were very upset, it was a tied vote at 7-7 which means the Chairman who was Don McLeroy had the final say on which direction these standards would go, and he voted for the revised science standards. 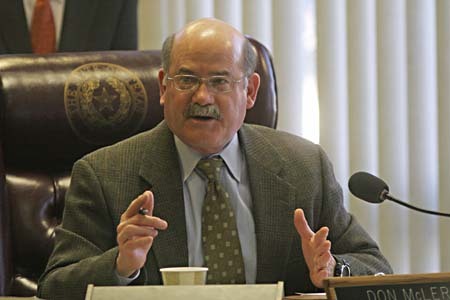 Opponents accused Don McLeroy of being unfit for Chairman, and then used circular reasoning for more accusations such as he didn’t understand evolution because he was a creationist and should never have been Chairman, and these new standards would allow creation in the public schools in Texas but as we know, no such thing happened. The bitterness and absurd accusations have waned for now until those standards are up again for a revision, or be voted to remain the same in 2019. The accusations were a mere smoke screen, we know that the real intent was to indoctrinate first at the High School level then allow some weaknesses to be taught at the college level. Just like “Climate Change” where it is believed man is responsible for changing the earth’s weather, why do you think “Climategate” happened? It was about swaying public opinion which is why they tried to hide the temperature decline over the past decade. Climate Change and Evolution has hurt scientific research in more ways than one, and has hurt how science should be taught in general. Next, we are going to tackle a passionate question, how does science detect purpose or intelligence within the creation? Creationism has a distinct advantage over evolution that doesn’t make it more mysterious than ever rather finds clarity because…:) Stay tuned for the explanation!